Chicken Legs and I have been in our house for 12 years. We've been talking a lot about remodeling a few rooms. The first room on our list is the kitchen (obviously). Our kitchen has lots of storage, but we need new appliances and updated cabinets. I don't want to tear everything out (I don't want to buy new granite countertops). I just want to freshen it up. I've thought about painting our cabinets and maybe changing the cabinet doors. I am in love with the white glazed cabinets right now. I would also love some organized drawers! We've started looking at new appliances. 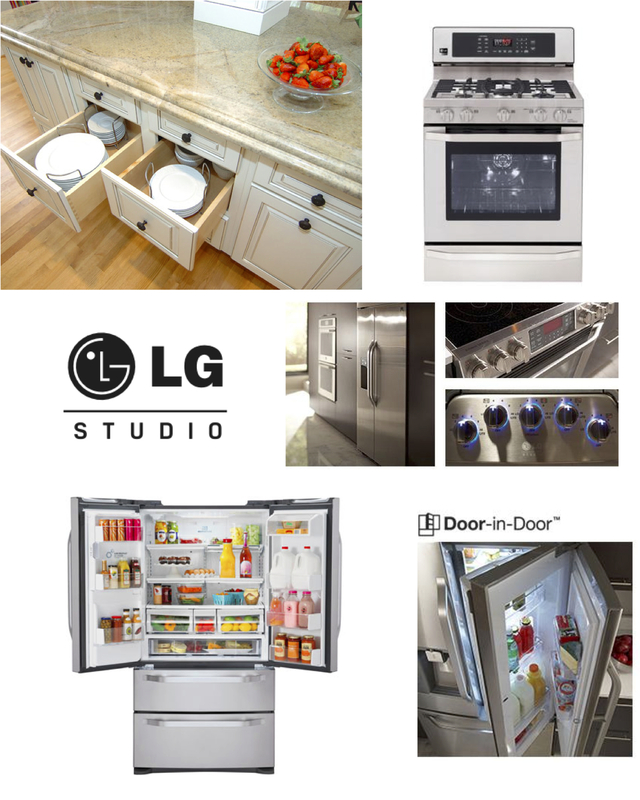 We love the look of LG Studio and all the technology in their appliances. I especially love all the LCD touch screen control panels, as well as the interior LED lighting. It looks so cool! I am a gadget person, so this is right up my alley. We desperately need a new refrigerator. I have a side-by-side, and I am dying for a French Door Refrigerator. I love the LG Studio 4 Door French Door refrigerator! Look at all that storage! It also has a water and ice dispenser in the door - that is a must for us. I currently have an LG Studio range (I love it), but I would love to upgrade to a beautiful LG Studio gas cooktop. 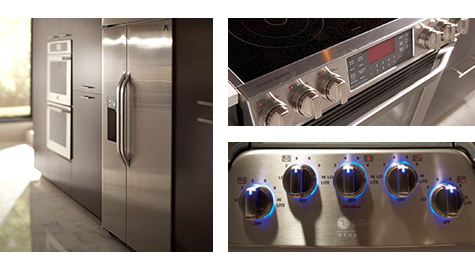 I am dying over the LG Studio knobs--they glow blue on the gas cooktop models! Love that! I've started a "Dream Kitchen" board on Pinterest. 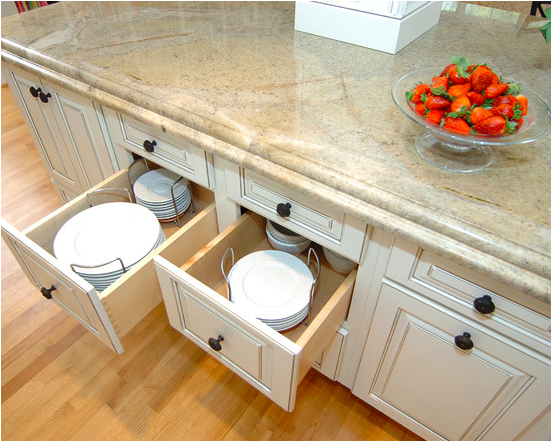 The internet has great ideas on kitchen design. Hopefully I can incorporate some of these awesome ideas into our mini kitchen redo! Follow Plain Chicken's board Dream Kitchen on Pinterest. Timeless sophistication is the signature of the LG Studio Collection, a beautiful complement to the advanced technology that elevates the entire series. As the artistic advisor to the LG Studio Collection, Nate brings his celebrated style to LG's premium appliances. His sophisticated yet accessible style resonates strongly with homeowners, and he is recognized amongst them as an inspirational expert on kitchen remodeling and design. The fridge you posted is almost exactly the one we have (our new LG), and we LOVE it. Adore it. Can't recommend it highly enough! And you're totally right about the lighting ... it rocks! 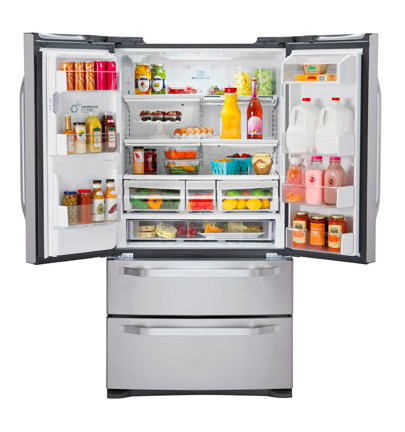 You will LOVE the LG French door fridge! We have one (not as fancy) and we LOVE it!! So much room!!! I definitely need more room in the fridge! This post came at the perfect time. I was shopping for a fridge last week and after reading this I decided to check out LG's line! I ended up buying a French door model and it came Saturday!! I am sooooo excited. Absolutely love it. I'm amazed at how much room there is and all the special features. So glad I saw this post!! Hope you get one soon Stephanie! !